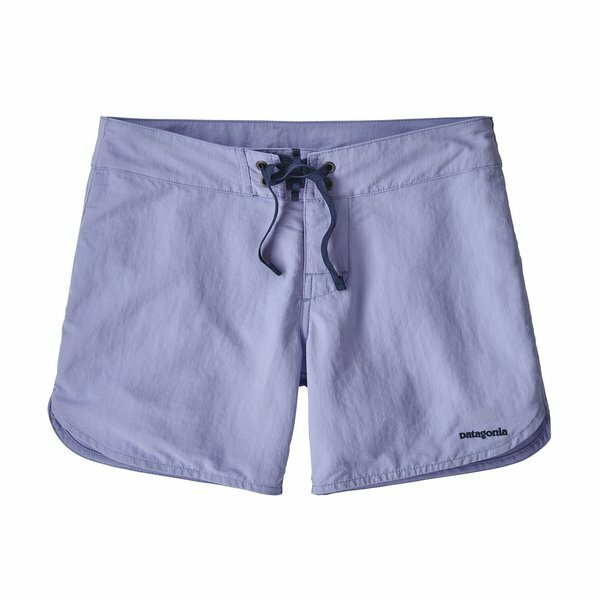 Patagonia Womens Wavefarer Boardshorts 5"
Home / Patagonia Womens Wavefarer Boardshorts 5"
Our classic Wavefarer® Boardshorts are about as capable as it gets. Made from light, durable and quick-drying 100% recycled nylon fabric with a DWR (durable water repellent) finish, they feature a gusset for increased comfort while sitting on a surfboard and rolled side seams for easy movement and mobility. The flat-lying fly features a ladderlock drawstring and hidden button closure; the self-lined, three-piece waistband contours naturally to the hips. Self-draining, rear-right pocket has an internal key loop and corrosion-proof plastic zipper. Inseam is 5".